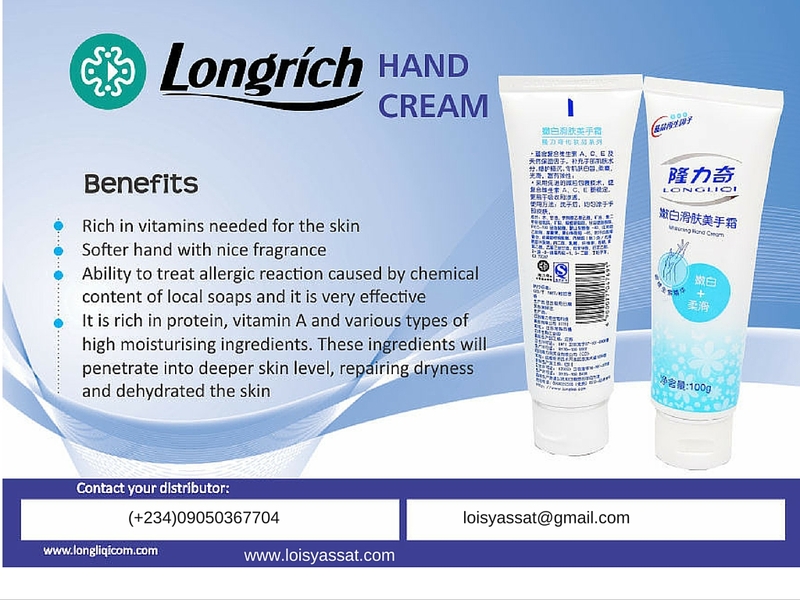 Due to chemicals in our local soaps which have led to skin irritation, allergic reaction e.t.c Longliqi hand cream is designed to help tackle these challenge by helping treat skin irritation. Ability to treat allergic reaction caused by chemical content of local soaps & it is very effective. It rich in protein, vitamin A and various types of high moisturizing ingredient, these ingredients will penetrate into deeper skin level, repairing dryness and dehydrated skin.